Black Panther boosts its chances to win Oscar titles as it takes Top SAG Awards Prize. Marvel's billion-dollar club superhero film Black Panther raises its chances of winning Oscars next month, as it wins the top Screen Actors Guild (SAG) Award on 27th Jan, Sunday. 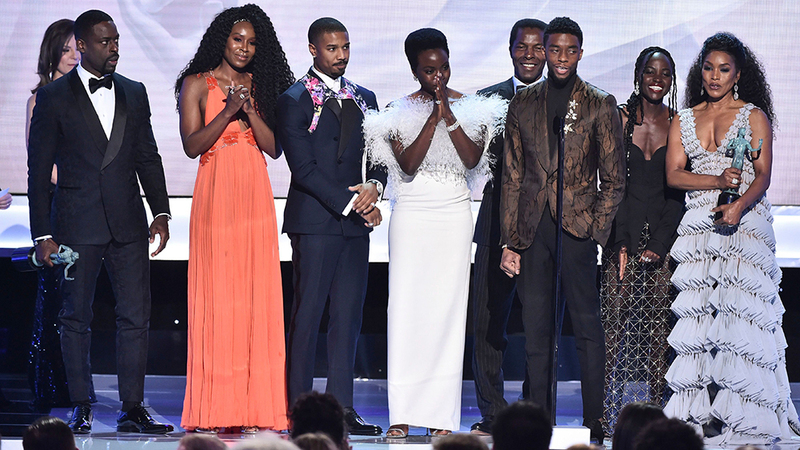 Black Panther, a movie that celebrates the lively culture of Africans and mostly prefigures black cast received the Award for the best movie ensemble cast in a motion picture. The box office hit film won the prize against other hit movies like Bohemian Rhapsody, and Lady Gaga & Bradley Cooper's musical drama; A Star Is Born, which did not win any award despite earning its nominations in the category of Outstanding Performance by a Cast in a Motion Picture and Outstanding Performance by a Male Actor in a Leading Role. "We know what it is to be young, gifted and black, but told there is not a place for you to be featured"
Apart from its win for the best movie ensemble cast award in a motion picture, Black Panther also picked the Awards for the best performance by a stunt ensemble in a motion picture. Likewise, British actress Emily Blunt took home her Award for Outstanding Performance by a Female Actor in a Leading Role for her performance in A Quiet Place, whilst Glenn Close picked the best film actress for her spouse role in the film, The Wife. Golden Globe Awards winner Rami Malek received his honor for his hit movie Bohemian Rhapsody where he portrayed the Queen's leading vocalist Freddie Mercury, whereas the award for the best supporting actor in a movie was honored to Mahershala Ali for playing the role of a jazz pianist Don Shirley in Green Book. 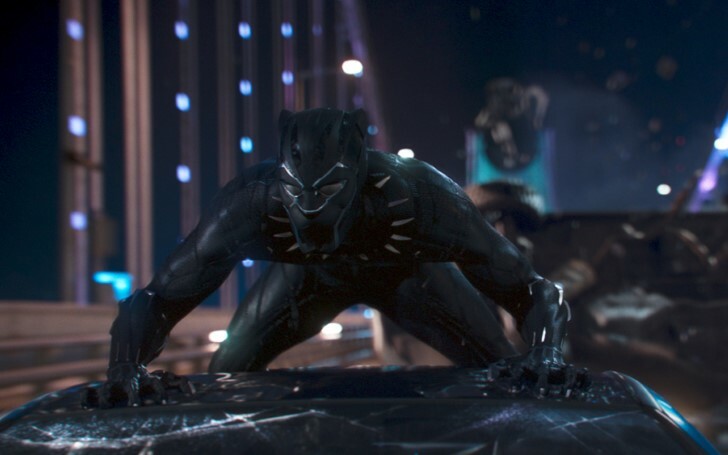 Black Panther loved by tons of audiences is the ninth highest grossing movie of all time and successfully received its enormous praise and milestone in history for its diversity in Hollywood. Furthermore, Black Panther's success from the SAG Awards night might pave its path to glory in the 2019 Academy Awards which kickoffs on 25th Feb.